Acer revealed its latest Predator gaming monitor at its [email protected] event Thursday. 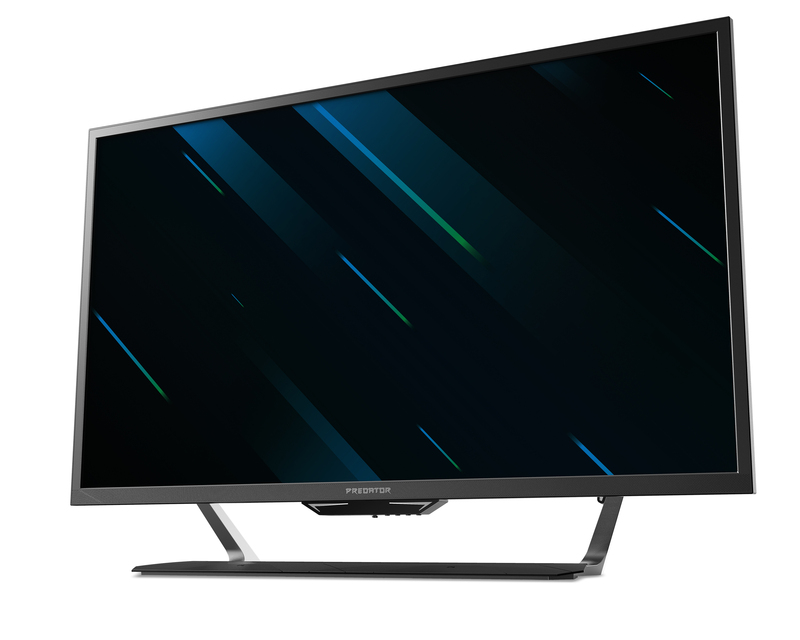 The 43-inch CG437K P has a variable refresh rate of 144Hz on its 4K UHD display, with a maximum resolution of 3840 x 2160. It's also compatible with AdaptiveSync technology for PC games. I like this monitor but I feel like the perfect monitor would be a 5K 5120X2160 Ultrawide 21:9 around 49-52"
Just curious what refresh rate that could be run at? Looking into DP 1.4 I'm guessing at least 100hz? The LG 34WK95U is a little on the small side for me and only runs at 60HZ. 5K 21:9 5120X2160 @ ????? Neat! I can't seem to find info about panel type and how they're achieving HDR1000, though. Is this like the bigger brother of X27 predator? The ASUS one was already confirmed to be a VA panel. That’s how ASUS was going to be achieving such a high HDR rating. I’m guessing it’s the same panel. Hope these are priced reasonably. Hope this new product category does not inflate TV prices. Interesting. That's certainly the upper end of reasonable monitor size. They better offer it at a reasonable price point or the OLED market will wipe the floor with them. LED and OLED screens(I have a 43" NU6900 @120) have been consistently getting better and better Variable Refresh rates. When I picked mine up, there is a Samsung QLED Q70R 49" 4K Smart UHD LED TV QN49Q70RAFXZA (2019) 240hz going for $1248. They had a 2018 model on Newegg(where the 2019 model is currently) that was running somewhere around $700. Got my 43" for $300. I see the only people purchasing this 144hz display as someone new to the computer scene or brand loyal. Am I wrong?